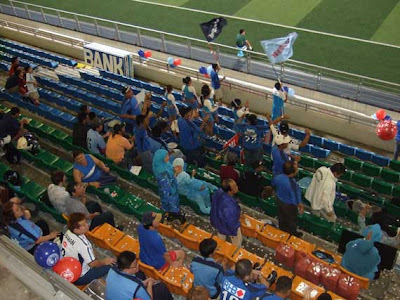 Face it man, Kitchee (from Hong Kong) were never into the game when they faced SAFFC in this AFC Cup opener. It's not wonder they ate the humble pie by saying they would be happy if they walked away from Jalan Besar with ONE point at pre-match media session (was later told this was NOT their best XI due to import restriction for this tournament). Nonetheless, it was a relief for all of us at the JBS after AFC decided to have this fixture in the accustomed timeslot, instead of having it at 4.30pm (to compliment the 2000 lux ruling for the floodlights)! Ken Ng, the team manager of the visiting team paid tribute to the Warriors during the post-match media conference. "Tonight's result does not reflect the true ability of the team as it's (the artificial pitch of JBS) a fast and difficult to play on. "But we hope to learn something (out from this experience) and give (SAFFC) a better game in Hong Kong" as he concluded. 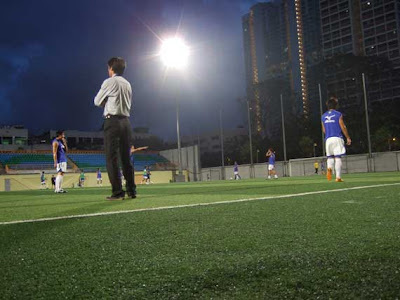 SAFFC's coach Richard Bok was modest by saying his team played "a normal game". 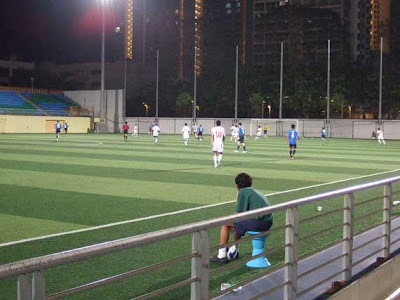 "We were not as familiar (playing on the artificial surface) as with Kitchee, despite playing as many as three times in recent times" said the current two-time "Coach of the Year" recipient. But Coach Bok admitted his charges looked "a bit off" in this continental fixture, probably because they are looking forward to the Friday showdown against Tampines Rovers at the same venue. 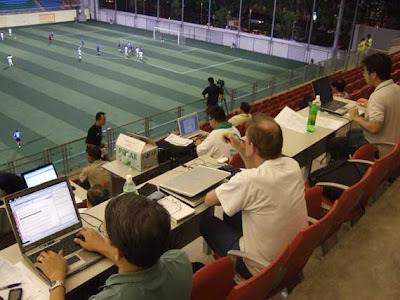 AFC gave way becos this is not a live game, FAS has to do something abt the stadium by the knock out stage or expect National Stadium again. Is Home playing Perak at Jalan Besar also ??? 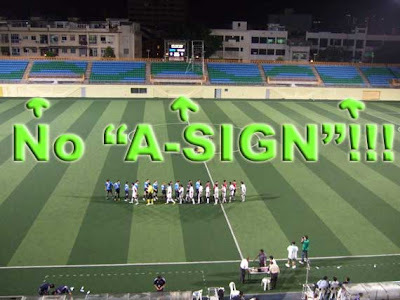 "Is Home playing Perak at Jalan Besar also ???"